Bully Max is for dogs 7 weeks of age and older. Recommended Usage: Dogs under 10 lbs. 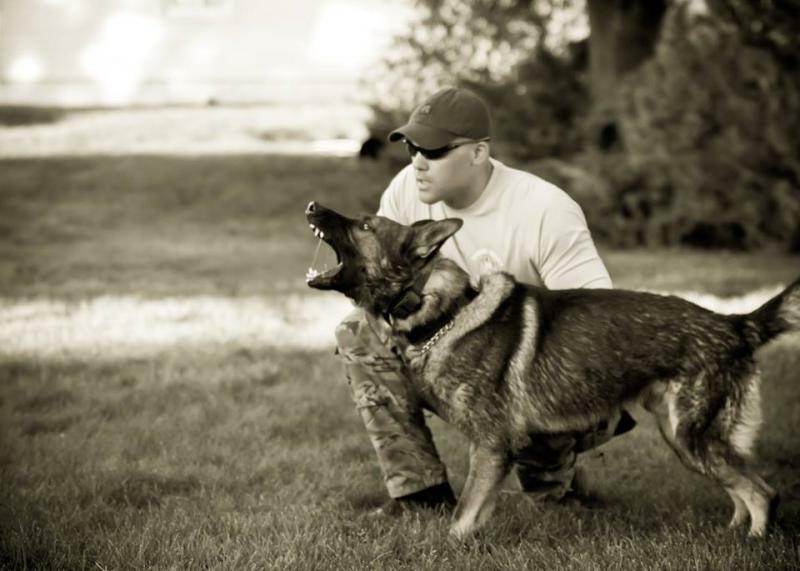 - 1/2 tablet daily; Dogs over 10 lbs. 1 to 2 tablets daily. For pregnant or nursing dogs; dogs over 10 lbs. - 2 tablets daily. 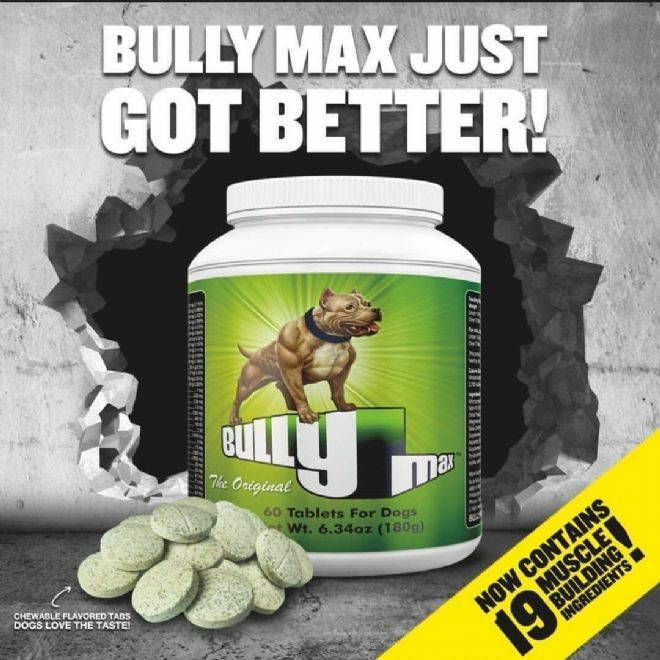 We offer the best in Dog supplements and muscle building vitamins for pitbulls, bulldogs, english bulldogges, rottweilers, American bulldogs, German shepherds, American bullies, as well as all breeds of dogs. We also offer in depth dog health information, health supplement information, pet training for a healthy and happy pet, as well as info about vitamins and supplements. Our Multivitamin Supplement is one of the best on the market and we offer a money back guarantee. 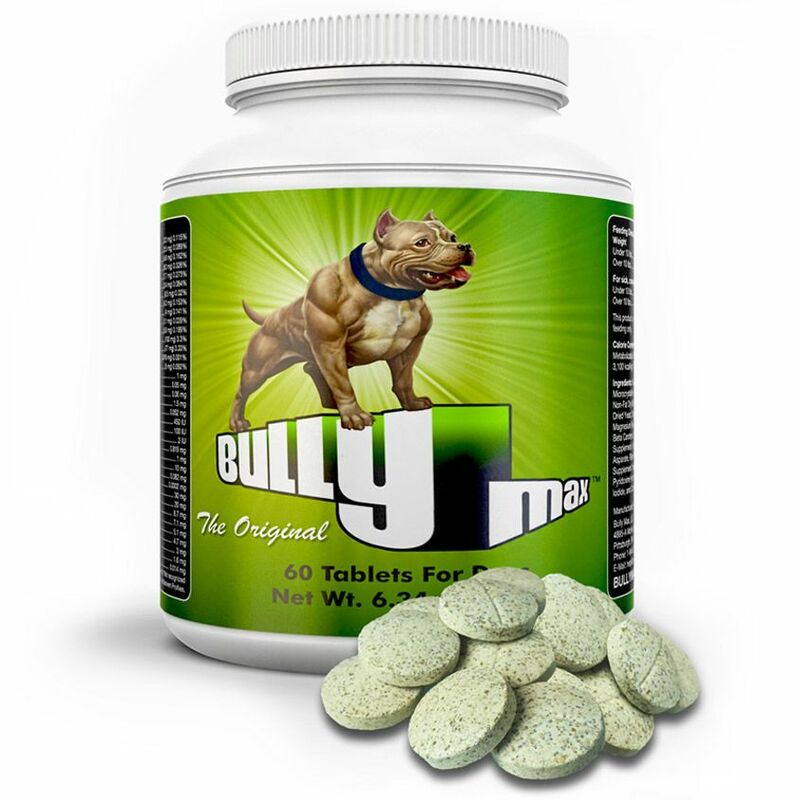 Try our multivitamin supplement for your dogs today. ordered on tuesday and it got delivered to me on thursday. 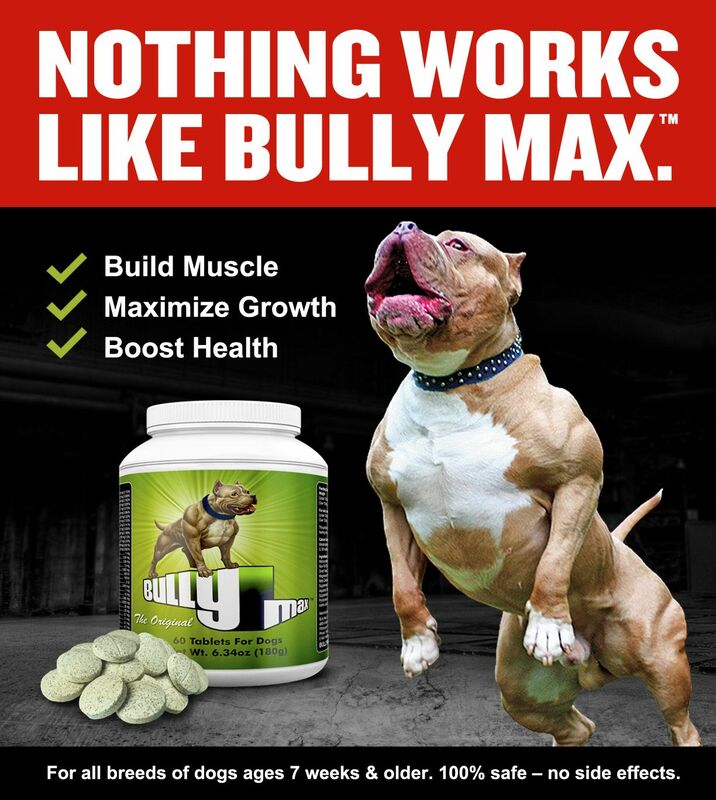 I have been feeding Bully Max for a few days now to my 2 females and already seeing results! fantastic product and my dogs are looking more ripped out and lean.